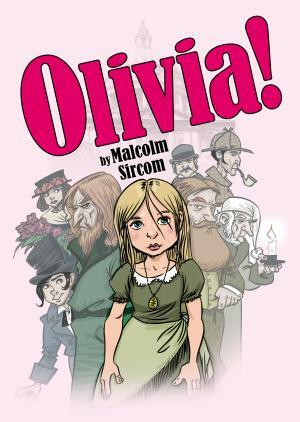 This brilliant and innovative show, set in Victorian times, traces the steps of Olivia, from downtrodden orphan to star of the stage. On her journey to the bright lights of London, she is befriended by Eliza Doolittle [from "My Fair Lady"] and, after a series of adventures, becomes a singer in a new Gilbert and Sullivan show, thanks to the unlikely assistance of Fagin and The Artful Dodger. Eliza and the flower-sellers are joined by other major female roles, and with orphans, "Poor School" girls, and essential chorus work, you will have no difficulty in casting this female-orientated show. The boys, however, are not overlooked, with splendid cameos for George Bernard Shaw, Ebenezer Scrooge, Sherlock Holmes and Doctor Watson. This feel-good show abounds with Malcolm Sircom's well-known wit and humour, both in the script and the songs which are catchy, lyrical, and full of gusto, as well as advancing the story-line.